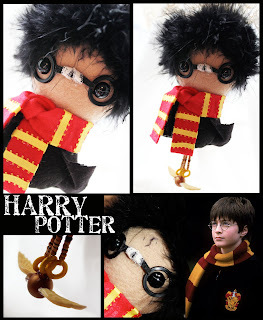 Spooky Pooky Creations: Dotee Dolls: Jack Sparrow, Harry Potter, and Artie Just Hangin' Around! 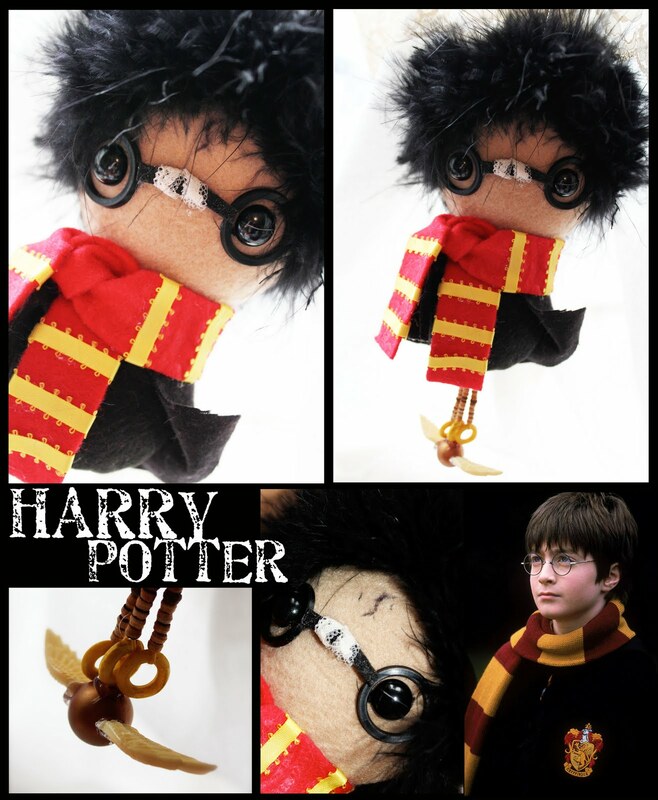 Dotee Dolls: Jack Sparrow, Harry Potter, and Artie Just Hangin' Around! "What is a dotee? 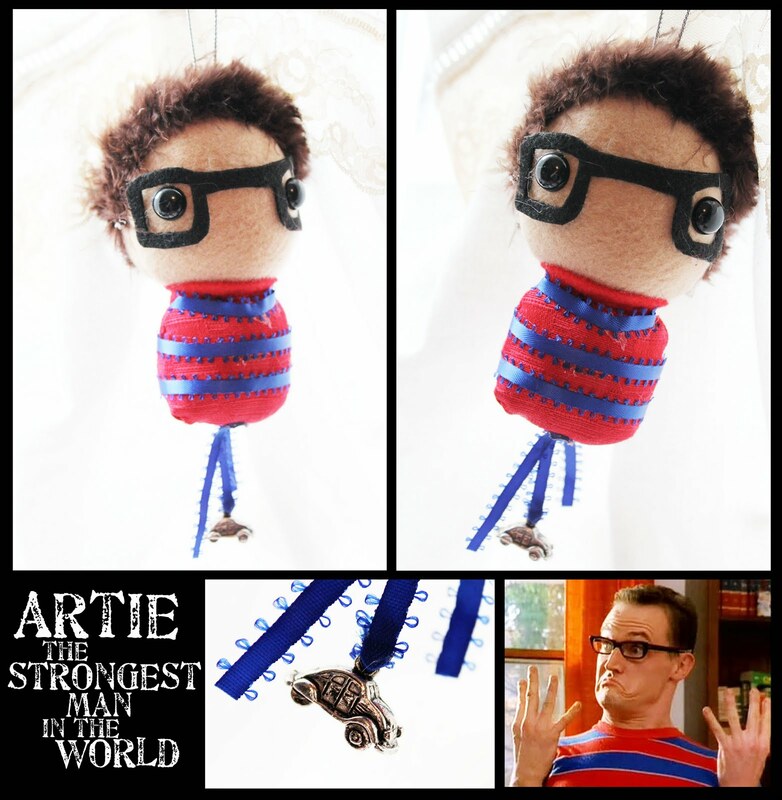 A dotee is a mini art doll, 3" - 6" with a loop for hanging. Most dotees have faces and some have tails - a hanging piece at the bottom made with beads, charms and other embellishments. Most dotees are made from fabric but if you peruse the past galleries, or do an internet search, you'll see that some dolls are made from wood, plastic, paper, recycled materials, fimo clay and paper clay." This particular round was a Character Dotee Doll Swap and your 3 partners gave you a list of their favorite movie/tv/book/etc. characters to choose from. For those of you who do not remember, Artie is from the TV show Adventures of Pete and Pete. I had a hard time letting go of all three of these; especially Jack! I hope my partners love them! 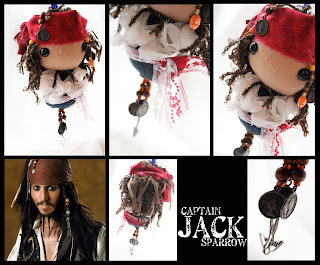 MUST HAVE JACK! Swoon! He would fit in perfectly in my pirate bathroom that we are currently building. They are all great! I would love to get Harry for Kacie! She would love it!